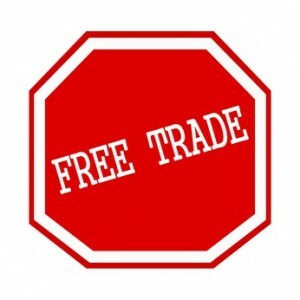 The governments of Singapore and China have recently agreed to renegotiate and upgrade the terms of their Free Trade Agreement (FTA). The upgraded FTA will further liberate the terms of engagement when it comes to trade in goods and services between these two jurisdictions. The CSFTA was originally signed in October 2008 and came into effect on 1 January 2009. The FTA allowed all goods originating from China to be exempt from tax when exported to Singapore. Presently, 95% of Singapore exports to China are duty free. However, investors and enterprises are keen on further liberation, especially in sectors like ecommerce, environment, business services, education and healthcare. With the evolving business and economic landscape, the review is rightly timed. New sectors have emerged and the cross-border engagements have magnified. The profile of investors and their requirements have changed. In order to ensure the relevance of the FTA and also to substantiate its significance in improving trade and investments, it is essential to relook and revamp the FTA. The focus of the original CSFTA was highly skewed towards liberalisation of trade in goods, with the area of investments and services trade receiving less attention. The upcoming review is expected to principally address the limitations of the FTA in these two areas. 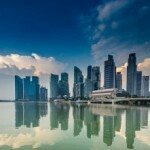 Singapore’s service sector is very strong and commands world-class standards and quality. An improved gateway to China’s growing service sector will primarily benefit Singapore companies venturing into China, so that they may capitalise on China’s strategic measures to modernise the sector. Singaporean companies operating in education, health care, environmental, legal and accounting sectors, will be the prime beneficiaries of the upgrade. Singapore service companies that are largely constrained by the size of the domestic market will find growth opportunities in the rapidly urbanising China. Singapore is an important offshore Yuan trading hub and in fact the second largest offshore hub after Hong Kong. With the recent inclusion of the Chinese currency in the IMF’s Special Drawing Rights (SDR) basket and the bi-lateral co-operation in the expansion of Yuan trade channels, Yuan based investments and transactions are set to escalate in the coming years in Singapore. In the evolving scenario, an upgraded CSFTA will act as a catalyst for bi-lateral trade and investments. Finance and investment companies focusing on the Chinese markets can offer Yuan denominated products for their clients, thus benefiting greatly from the upgraded CSFTA. More importantly, these developments will prompt more Chinese companies looking for regional expansion to use Singapore as a springboard, by setting up Singaporean subsidiaries. The reduced transaction costs may draw more international companies trading with China to set-up Singapore subsidiaries also, to efficiently manage their financial transactions. China does not permit 100% foreign shareholding, so Singapore investors and enterprises expanding into China must currently find local partners for Joint Venture opportunities. The upgraded CSFTA is expected to incorporate articles that adequately liberalise and protect Singapore investments in China. 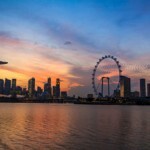 With the increased protection for Singapore investors under the CSFTA, international companies looking to invest in China will be able to set-up Singapore holding companies and route their investments through Singapore. The upgraded CSFTA will complement Singapore’s role as a regional business hub, an international financial center and as an important offshore hub for Yuan trading, thus catapulting the significance of Singapore in China’s ‘One Road One Belt’ scheme. Singapore will become the epicentre for China bound investors and businesses, as well as Chinese investors and enterprises looking for regional opportunities. Singapore’s ageing population and its growing focus on the environment and health care sectors offer potential investment grounds for Chinese investors and entrepreneurs.